Ethica is a not for profit social enterprise that specialises in quality fair trade products. Crafted by women artisans in Peru, Ethica pays a fair price and creates dignified work for its artisans, providing them with the immediate opportunity to support themselves and their families. The artisans combine traditional methods with modern designs to produce a fresh array of products including an amazing Alpaca range. In Inca times Alpaca was considered 'fibre of the gods' and rightly so. Alpaca is softer, stronger and warmer than merino wool and cashmere. It is famous for its luxuriousness and gentleness. And best of all it doesn’t contain lanolin and therefore is hypoallergenic. Alpaca garments can last and look as good as new for decades. Ethica's Alpaca range includes a fashionable, versatile poncho, that can be worn the traditional way, bolero style or even as a scarf under your coat. The alpaca beanies are all hand knitted, which means they are super soft and cosy. Also keeping you warm are the luxury hand warmers and scarves with the gorgeous wraps, a combination of silk and alpaca, brilliant for when you’re travelling. 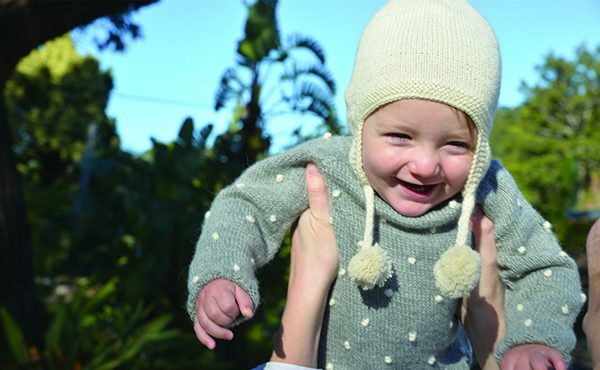 Your little ones don’t miss out with the Baby Alpaca range being just perfect for cooler weather, with a modern take on the traditional hand knitted Peruvian beanie complementing the stylish baby jumpers. And the alpaca blankets, both for your precious little ones and for your home, feel so good, you’ll want to wear them! Ethica reinvests all its proceeds into the villages where the artisans live and works to build sustainable businesses and strong communities. Every single purchase has an impact―buy better―quality over quantity―it feels good. See the latest ranges from Ethica, Stand 4L15, at AGHA Sydney Gift Fair, 23-26 February 2019.